A glow-in-the-dark map of the Solar System graced my bedroom wall when I was a little girl, accented by luminescent cutouts of stars, moons and planets pasted to my ceiling. As I gazed upon my artificial universe, my mind drifted to far-off worlds, fueling dreams about the endless wonders of the universe and who else might be out there with us. My passions turned to travel and the arts as I grew older, but I still find joy in gazing upon the heavens and letting my mind fly high amongst the stars. 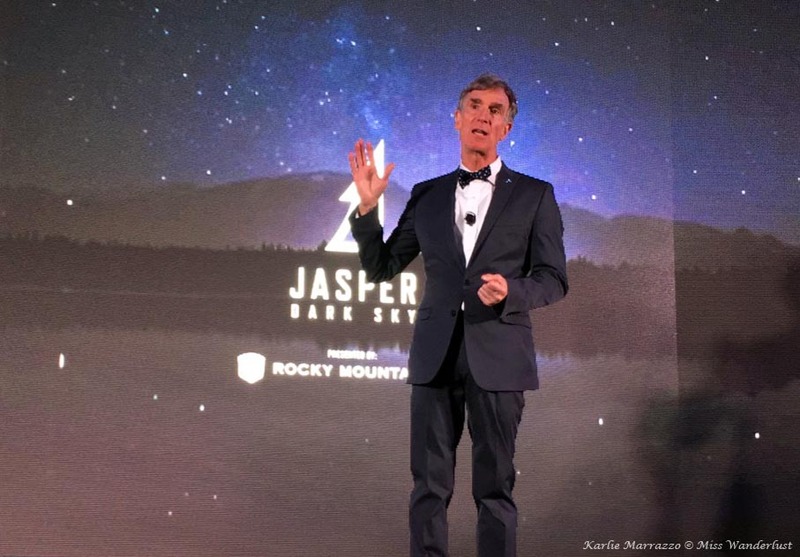 The Jasper Dark Sky Festival, presented by Rocky Mountaineer, aims to connect people of all ages to the wonders of our universe and to stargaze in one of the world’s largest dark-sky preserves. 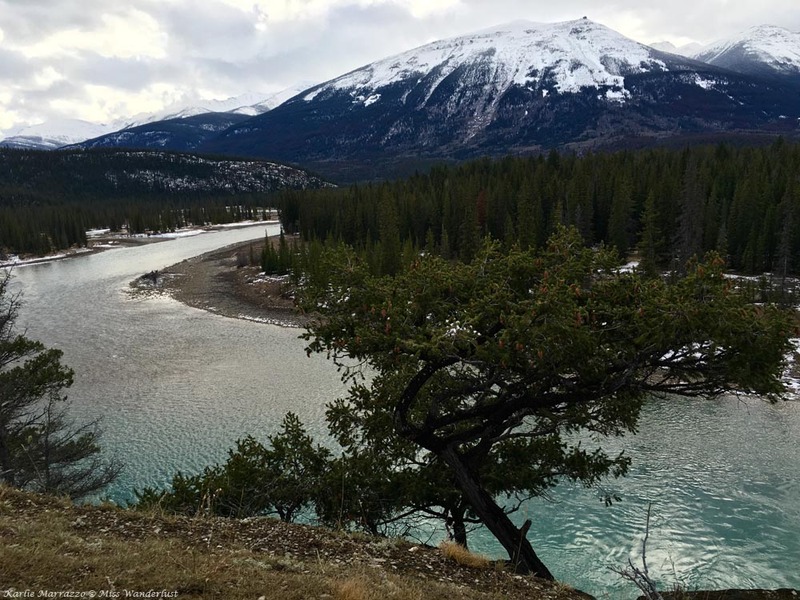 Jasper National Park, a straightforward four-hour drive from Edmonton, is one of the most spectacular settings for a dark-sky preserve, and the perfect place for a festival celebrating science and the cosmos. These preserves are natural areas that are kept free of artificial light pollution, maintaining the perfect environment to gaze upon the heavens from Earth. 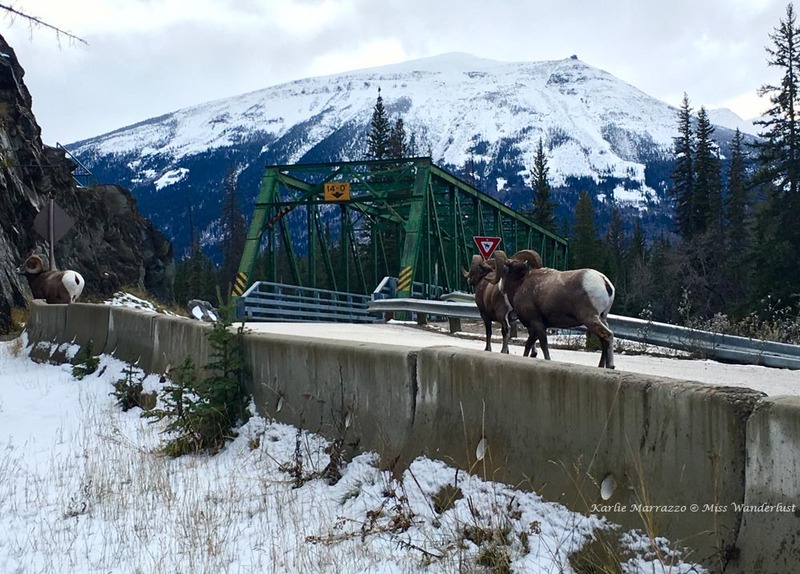 The sixth-annual Jasper Dark Sky Festival began in the third week of October, and Alberta had just been hit with a slightly unexpected bout of wintry weather. The snow lent itself to incredible views from atop the Jasper SkyTram that morning. The SkyTram climbs the side of Whistler’s Mountain in seven minutes and delivers passengers to dazzling mountain vistas from the upper station, at an elevation of 2300m. I stepped out above a thick blanket of clouds, the tips of the mountaintops only peeking through, hiding their true size. The world was a palette of white, greys and blacks. Slowly, the clouds parted and the scenery transformed, the powerful Rocky Mountains revealed in their full glory, the sun glistening off of the snow and icicles in a perfect winter scene. With a few hours to spare until the main event of the evening, I got preview of what the night sky had in store at the Jasper Planetarium. Located outside of the Marmot Lodge, the semi-permanent tent houses a planetarium that can seat 35 guests and gives you a glimpse into the 11000km of protected sky in Jasper National Park. The first thing I did was stare directly into the sun, something that is not advisable unless you are doing so through a high-powered, specialized telescope. Peter McMahon, manager, astronomer-in-residence, and the man who proposed Jasper as a dark sky-preserve, assisted us in gazing through three different telescopes to get a closer look at the sun. He then took us on a tour of the night skies above Jasper National Park, through the Milky Way and to the edge of the known Universe. The headliner of the festival that weekend was the legendary Bill Nye. Yes, the Science Guy. Every child of the ‘90s has fond memories of learning about science and space from the quirky, bow-tied scientist with the tall hair and lab coat. Mr. Nye gave an impassioned talk on the impacts of climate change and the growth of the human population on the planet Earth, and how my generation can be the next great generation. His message was clear – we as humans have the power to change the world for the better, through actions large and small. After hearing his inspirational words on space exploration, I was itching to do some stargazing of my own. However, the weather gods were not on our side that night, as the sky again clouded over and prevented festival-goers from turning our eyes to the skies. 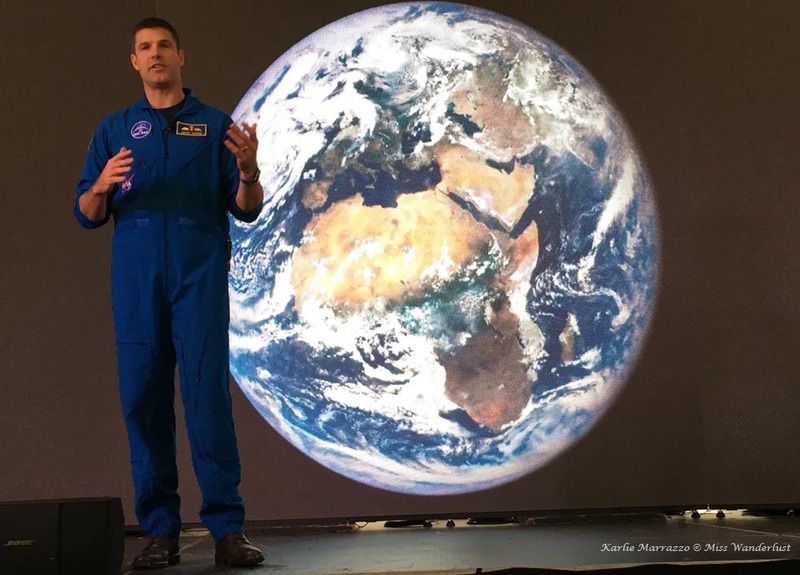 Saturday morning started off right with another brilliant talk, this time by Canadian astronaut and Royal Canadian Air Force Lieutenant-Colonel Jeremy Hansen. I didn’t know much about him before that day, but his stage presence, easy-going yet confident demeanor, and the inspirational words that flowed from within him immediately captivated me. He spoke on not only putting your mind to things and setting goals for yourself, but of sharing the intention of those goals with others around you in order to lift you up, share knowledge and hold yourself accountable, which struck a major cord with me. His passion for learning and space was infectious, and his positivity had a lasting impact. The real highlight of the weekend for me came on Saturday evening. The snow had stopped falling and the winds had stilled. 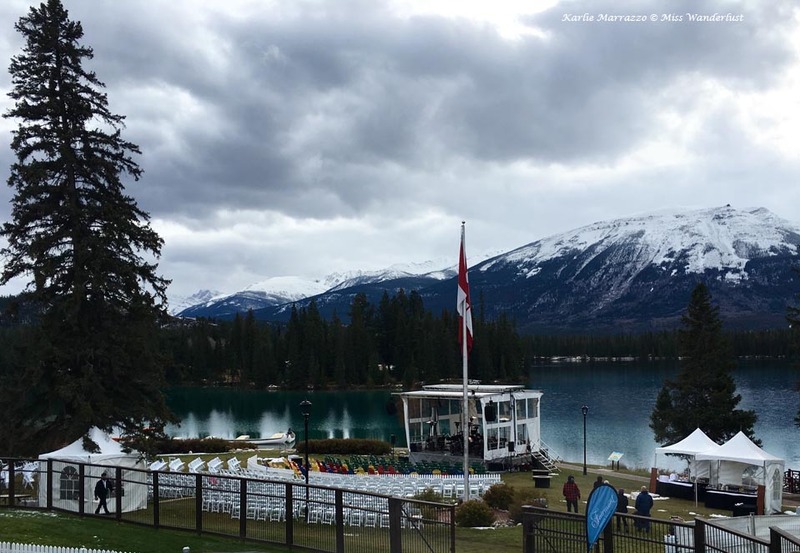 The Edmonton Symphony Orchestra (ESO) was setting up and tuning their instruments along the shore of Lac Beauvert at the Jasper Park Lodge for the Symphony Under the Stars. The twinkling sounds of strings and wind instruments drifted through the chilly air, building anticipation for the performance ahead. The sun sank in the sky, a thin film of clouds reappeared, and twinkling red and white lights illuminated the stage as the ESO took the audience on a soaring journey through Vivaldi’s Four Seasons, the audience bundled up in winter layers and blankets, sipping on hot chocolate to keep warm. At every break in song, the crowd burst into muted applause, bringing a smile to my face with the unmistakable sound of hundreds of mittens clapping. Conductor William Eddins’ trademark wit and rapport with the audience was the cherry on top of the performance. The only way the evening could have been better is if the clouds were to dissipate and allow us to enjoy the music under a blanket of stars. Here’s to next year! – Old Fort Point hike and lookout. A five-minute drive from town, the lookout point offers great views and the 4-km hike is moderately challenging, with some elevation changes. – Lake Edith – A pretty lake 10km from town. Sandy beaches, boating and glorious mountain views. Beside Lake Annette. – Sulphur Skyline – A challenging 8km roundtrip hike with an elevation gain of 700m (2300ft) that starts from the Miette Hot Springs parking lot. Described as taking anywhere from 3-6 hours to reach the summit and offering panoramic views, be prepared! – Candy Bear’s Lair – A candy and chocolate lover’s heaven! Fresh chocolate made daily. Look out for the huge stuffed teddy bear out front. Thank you to Tourism Jasper, Rocky Mountaineer, the Mount Robson Inn, and the Fairmont Jasper Park Lodge for your hospitality and for making this weekend possible! Although this is a sponsored post, all opinions are my own. Sounds like you had a great time at the festival. Very cool that you got to see Bill Nye! Fascinating post. I’d never heard of a Dark Sky Festival. So cool that you saw Bill Nye. Love his inspirational message you described. Yes, we do have the power to change the world for the better. 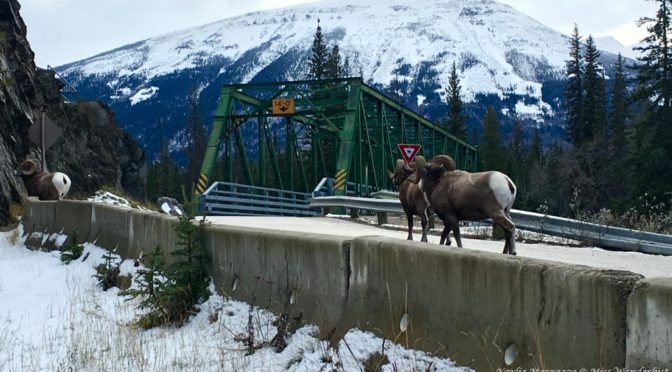 And I absolutely adore the photo of the big horn sheep! Great post about a lesser known festival. I lived in Jasper last year (and worked at the Fairmont JPL, this honestly brings back so many memories right now!) and the Dark Sky Festival was a highlight, it’s so interesting. Karlie, once again I praise you for your enjoyable descriptive writing. I always feel I’m right there with you on each adventure! My favorite photo, the icicle! Gorgeous. My favorite sentence, “bringing a smile to my face with hundreds of mittens clapping”. Bravo to this enjoyable story of Jasper’s Dark Sky Festivals! Karlie, your vivid descriptions made me feel like I was there. Gerry and I plan to go next year. 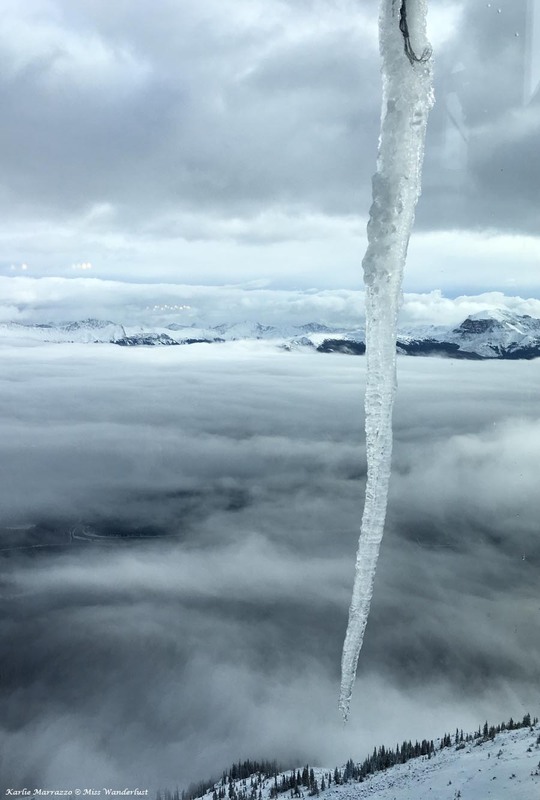 The pictures are incredible, especially the icicle! Thanks for sharing. I haven’t been to Jasper since I was a kid. Your photos make me want to return. I can’t even imagine hearing Bill Nye THE Science Guy speak! What a dream! !